The prime responsibility of a medical transcriptionist is to transform all the healthcare providers' oral dictation into written text for the purpose of electronic storage or print. An individual who is very good with words and likes to be a perfectionist with lot of self discipline should consider a career in medical transcription. Start below by researching medical transcription certificate training programs. Courses teach you both Latin as well as the Greek roots of medical terms. Apart from teaching you medical terms and language, courses will also make you aware about different diseases and the necessary information related to them. It will teach you all the important aspects related to lab work. The course will provide you with vital information about medical documents such as examination records, patient history, discharge papers and consultations. It is very important for a medical transcriptionist to understand the different types of medical laws. This information is essential in order to produce official medical records. An online medical transcription course will provide you with all the important information related to medical law. A good medical transcriptionist usually has good computer skills. The world has technologically become very advanced and hence all the medical documentation and paper work is done with the help of a computer these days. It is therefore necessary for a medical transcriptionist to operate the computer with ease. An online course will also guide you in enhancing your computer skills. Most of the medical transcriptionists in the United States operate from home based offices. However, there are plenty of medical transcriptionists who work in medical facilities such as clinics and hospitals. We recommend getting hired with a firm first and gain the proper experience and then start working from home. There are many schools that give you all the necessary support if you are considering working from home. The average earning of a medical transcriptionist depends as to where he/she is working. A medical transcriptionist usually earns more if he/she manages to get a job in a reputed hospital as compared to working in a small. One of the biggest advantages of being a medical transcriptionist is the fact that most of them are fortunate enough to work in comfortable settings such as laboratories, transcription serve offices, physicians, hospitals and clinics. The employment opportunity in this field is ample and is expected to grow steadily in the coming years. Make sure you are taking a course that has been industry approved and accredited. Allied Health System: You’ll fully understand the reimbursement system and learn how it affects both the insurance companies as well as the client. Medical Terminology: In order to be a good medical transcriptionist you’ll need to understand the medical terminology. Modules usually cover the grammar and punctuation as well as the different types of record keeping formats. You’ll be taught about proper sentence structure as well as common words that are misspelled. Transcription Technology: Learn about the computer software and hardware used in medical transcription. You’ll be taught about operating systems and the latest software that will help you do your job correctly and quickly. Several of the programs go over speech software and how it can be used in combination with other software to speed up the number of words you can transcribe. When looking into a med transcription program you’ll soon realize that the majority of the programs are online. Below are just a few of the things to look for in order to decide which one is the best one for you. 1. Cost – Medical transcription programs will cost generally between $500-4000. Most of the programs as mentioned are available 100% online so you can take them at your own pace and most can be completed in less than 6 months. 2. Scholarships/Financial Aid – Always ask the school if they offer scholarships. Some might be small but if the program is under $1000 every dollar counts. Some of the schools listed might also offer financial aid or low monthly payments. 3. Subjects Covered – Most schools will cover the basics in terms of medical transcription. Some will cover more advanced transcription techniques as well as cover advanced speech software. 4. Accreditation – A common misconception is that you need to take a program from an accredited school. Most will be accredited by an accredited body recognized by the US Department of Education but others will still be able to provide a quality education without being officially accredited. We always recommend checking online and with social media to connect with others who have taken their program. Be sure to check reviews on every school you are researching before you enroll. Do you like the idea of a job that allows you to work from home, at your own pace? The field of medical transcription enables you to work as a trained professional in the medical industry. You can freelance for a hospital, run your own transcription business or work from home as an employee of a doctor’s office. What is it? Medical Transcriptionists listen to dictated recordings made by physicians, and other health care professionals, and transcribe them into medical reports, correspondence and other administrative material. They generally listen to recorded information on a headset, using a foot pedal to pause the recording when necessary. Their job entails keying the text into a personal computer, and editing the text for grammar and clarity. There are additional requirements for successful transcribers. First, individuals must have the ability to effectively translate medical jargon and abbreviations. Second, they must be able to easily spot mistakes or inconsistencies in a medical report. Third, they must have the ability to successfully conduct research to verify medical data. Medical transcription also comes with some measure of responsibility. If an individual correctly transcribes patient assessments, treatments and records, it reduces the chance that a patient will receive ineffective treatments, and ensures high quality patient care. 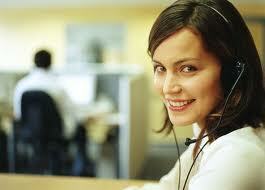 Most employers prefer to hire individuals with specific postsecondary training in medical transcription. There are comprehensive, well-rounded programs available through vocational schools, community colleges, and distance-learning programs.